Can the City Attorney Help Me With My Legal Issue? No. The City Attorney represents the City of Harrisonburg and is unable to provide legal aid to the population-at-large. If you are in need of low cost legal assistance for a civil matter, please contact Blue Ridge Legal Services. If you are in need of low cost legal assistance in a legal matter, the courts will appoint you an attorney. Does the City Clerk Provide Marriage License/ Name Change/ Passport/ Deeds/ Real Estate/ Personal Property Information? No, the City Clerk does not have access to this information. You can contact the Rockingham County Court House to obtain a marriage license, name change, passport, and deed information. The Clerk of Circuit Court for both Harrisonburg City and Rockingham County can be reached at 540-564-3111. More information about the Rockingham County Clerk of Court. The City Clerk also cannot provide real estate information for the City. Contact the Real Estate office at 540-432-7795. The City Clerk cannot provide personal property (vehicle) tax information for the City. Contact the Commissioner of Revenue office at 540-432-7704. How Do I Contact the City Manager or Assistant City Manager? Please contact the City Manager’s Office at 540-432-7701. The office secretary will direct you to whomever is available at the time you call. If there is nobody available, you will be asked to leave a message. You can contact the City Clerk or City Council members to request to be placed on the agenda. What is a City Manager? Why is There No Listing for the Mayor’s Office? 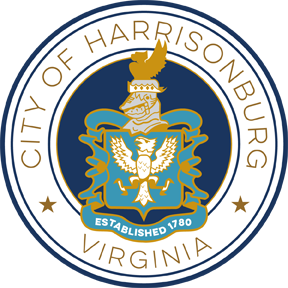 The City of Harrisonburg operates under a council/manager form of government. In this form of government, the elected council hires a full-time city manager to run the day-to-day operations of the City. The elected council members, including the mayor, do not work in city offices, but can be reached by contacting the City Manager’s Office. Where Are the Council Member’s Offices? Council members do not work full time out of city offices, however there are multiple ways to get in touch with a council members. If you would like to send correspondence by mail, please send it to any council member c/o City Manager’s Office, 409 South Main Street, Harrisonburg, VA 22801. City Council members can also be contacted directly through email. You may contact an individual council member using the links below. Select the name of the council member you are interested in contacting to find their email address and/or an online form to email them through the website. Not sure which council member you should contact? Call the City Manager's Office (540-432-7701) and the staff will be happy to assist you. The City Manager’s Office is on the third floor of City Hall at 409 South Main Street, Harrisonburg, VA 22801.